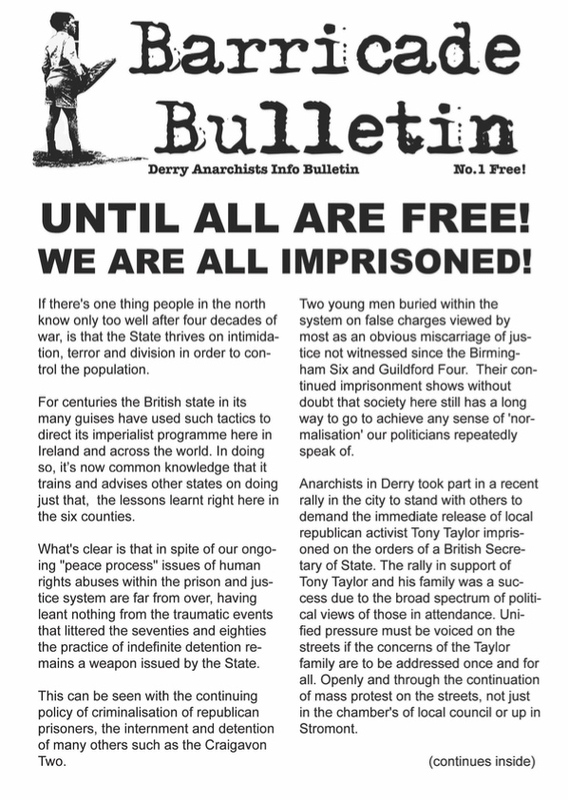 In 2010 the Workers Solidarity Movement closed down its Red & Black Revolution magazine and replaced it with the twice yearly Irish Anarchist Review. 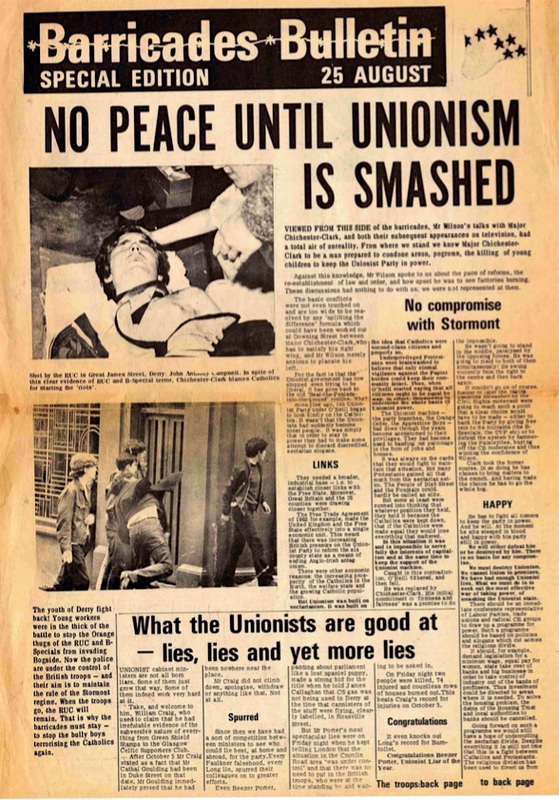 Eleven issues of this free paper were published, with the final one in 2015. The print run was 3,000 and distribution was mostly at events like the Dublin and London anarchist book fairs. “Welcome to the first issue of The Irish Anarchist Review, the new political magazine from the Workers Solidarity Movement. This magazine will explore ideas and practical struggles that can teach us about building a revolutionary movement today. We decided to cease printing Red & Black Revolution, and start this project, aimed at provoking debate and discussion among anarchists and the left. For this purpose, we will be pursuing a non-sectarian approach, taking ideas from various left currents, mainstream discourse, and reflections on experiences of life and struggle. We will take, print, and discuss, anything that we find useful for our needs. We hope that readers will have a similar attitude, and will use the magazine to discuss, debate and develop ideas. We will also welcome submissions and responses to articles. 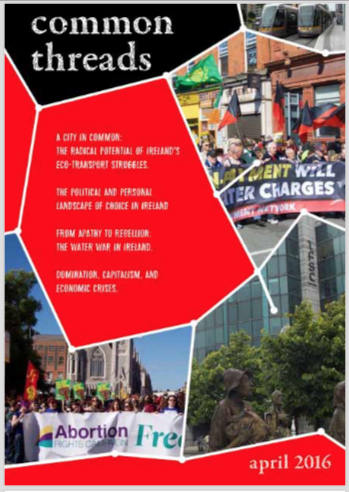 “This issue is shaped by the current financial crisis, and more particularly, by the reactions of the Irish political and capitalist classes, as they pursue an aggressive strategy of cutbacks. We have seen the implosion of the building sector, the foundering of the banks upon corruption and incompetence and the failure of our foreign investment based economic model. Moreover, we have seen that the government response has been to protect the banks and builders by transferring wealth from social services, public pay and increased taxation straight into bank bailouts and NAMAland. This needs to be identified for what it is: an act of outright class warfare. “We are faced with a situation where a strong and organised response to government attacks is absolutely necessary, but is constrained by the prevailing ideology and practice of partnership. The most pressing concern for Irish radicals today is to build a labour movement that rejects the corporatist mentality and service-delivery model of ICTU and poses instead workers self-organisation as the basis for struggle. With this in mind, this and future issues will look for inspiration in revitalising class-based politics. “The weakening of Irish organised labour through the ‘Celtic Tiger’ period is examined by James R’s article, and he poses some requirements for the emergence of a class movement that can deal with the threats of the present while bearing a vision of a better future. Andrew Flood looks at some of the positive elements of recent struggles, emphasising the possibilities for self-organisation and direct action made visible in the recent struggles. “We feature two articles that try to learn from the experiences of radicals internationally. Ronan McAoidh reviews the work of Swedish group, Kämpa Tillsammans!, which argues that affinity between workers, not just union organisation, is the basis of successful struggles. An interview with Alex Foti explores organising tactics that try to deal with the growing trend of flexible working conditions. “The reviews also tie into this theme, assessing the development of an American working-class counter-culture and, by looking at workplace blogging, discussing some ways in which this can be done today. Four years later a second issue appeared, giving the notion of “irregular publication” a whole new meaning. 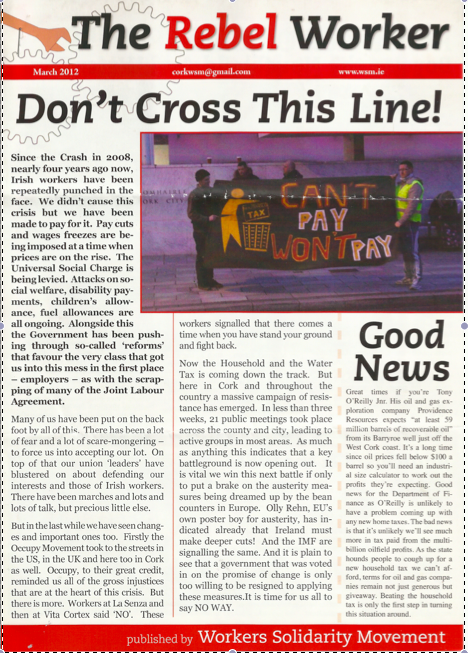 This time it concentrates on the campaign against the household tax, along with a short piece about Tony O’Reilly and the Barryroe oil field off West Cork.